2) Next, choose one PC to create the first employer dataset. 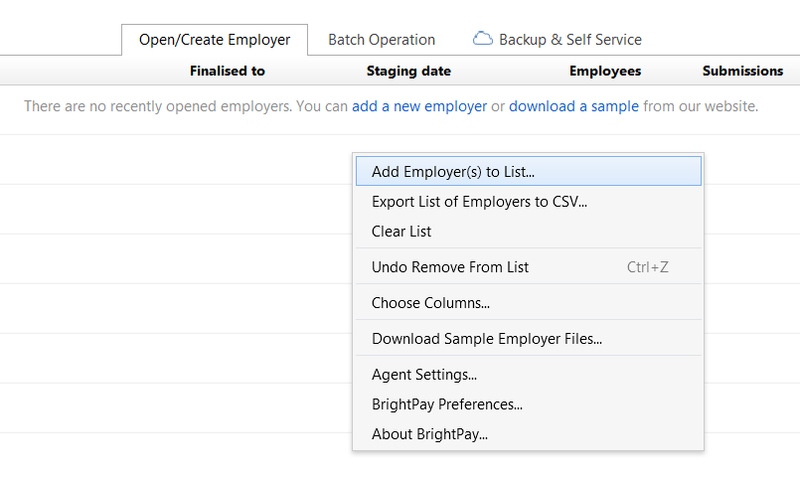 On the 'Open Employer' screen, click 'Create New Employer' and follow the step-by-step instructions to set up the employer file. (For assistance with setting up a new employer, please refer to the help topic 'Adding a New Employer' within the Support section.) When prompted to save your employer data file, browse to the central directory that has been created in step 1 and save the dataset here. BrightPay will save the chosen central directory as the default file location.